Syrian army is carrying out massive shelling of several terrorist groups in the northern part of the Hama province, a Rossa Primavera News Agency source in Syria reports on December 14. “One of the Syrian army units, positioned near the village of Jurain in northern Hama, carried out massive shelling of gatherings and buildings belonging to terrorists from the so-called Turkistan Islamic Party. The militants positioned near the village of Al Ziyara tried to open fire at the Syrian army,” reports the source. In addition, the Syrian army is holding back the terrorist forces in the village of Tal Al-Sakher to the north of the city of Al-Mahrada in the northern Hama province. It is mentioned that “terrorists used machine guns to fire at the army positions.” Some terrorists have already been killed. 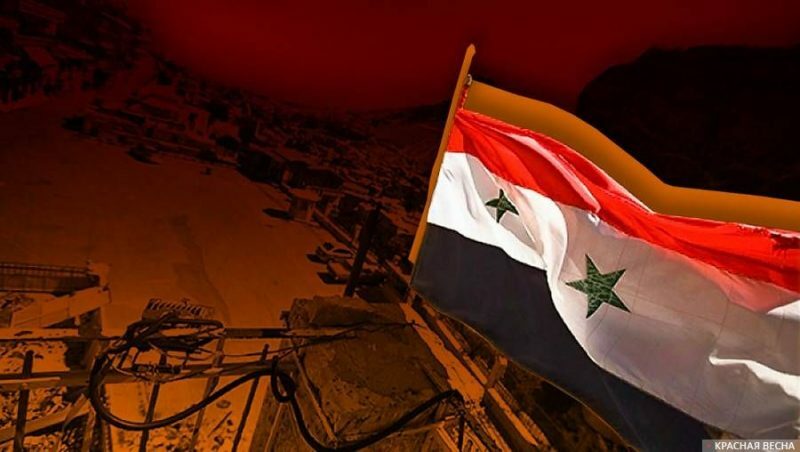 Yesterday, Syrian army units stopped the attempts of terrorists from “Jabhat An-Nusra” (an organization banned in Russia) to move from settlements in Al-Buweida, Maarkab and Al-Sarmaniya towards military checkpoints established to protect the peaceful settlements in northern Hama. This entry was posted in News from the Middle East and tagged Classical War, Islamists, Syria. Bookmark the permalink.